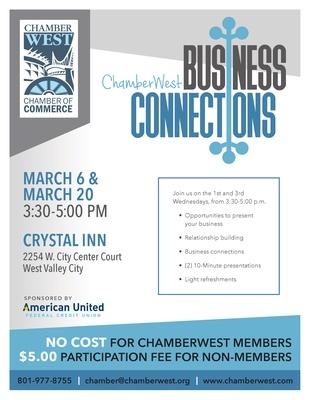 Come, make connections, and grow your network! This event is on the 1st and 3rd Wednesdays of the month. You meet EVERYONE in the room, and you hear from two established professionals about what their company does. Opportunities to present your business.